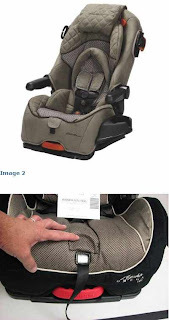 A variety of car seats including Cosco, Eddie Bauer, Maxi-Cosi Mico, Safety 1st Alpha Omega and others have been recalled as the harness adjustment strap can become loose during normal use. Transport Canada has had 10 complaints where the harness system would loosen during normal use, with no reported injuries. If you have one of these seats, the manufacturer is supplying a repair kit. They further recommend the continuous use of the product but advise to verify the tightness of the harness every time it is used. For more detailed information about this recall visit Canadian Product Recalls.